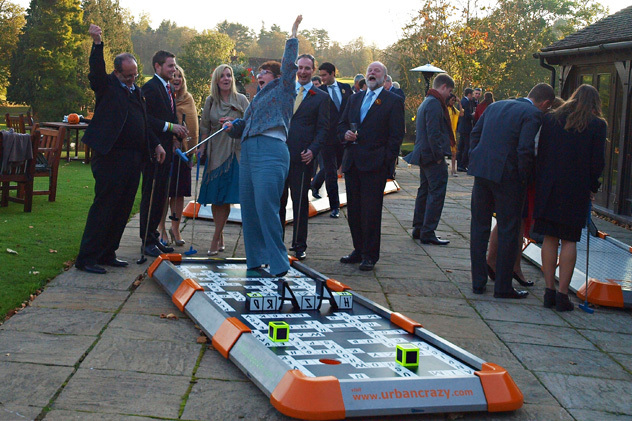 Question: What‘s the best way to entertain guests at a wedding? 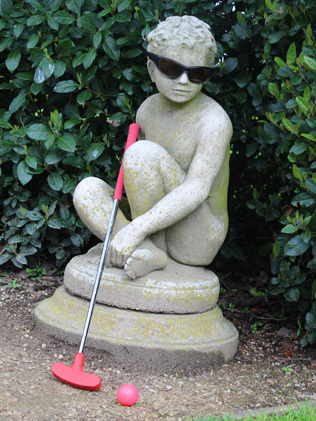 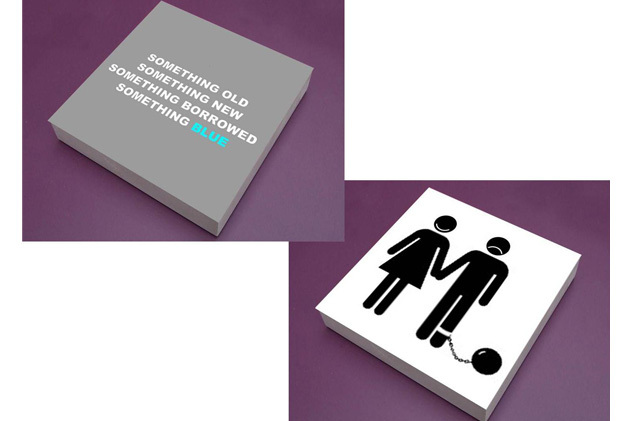 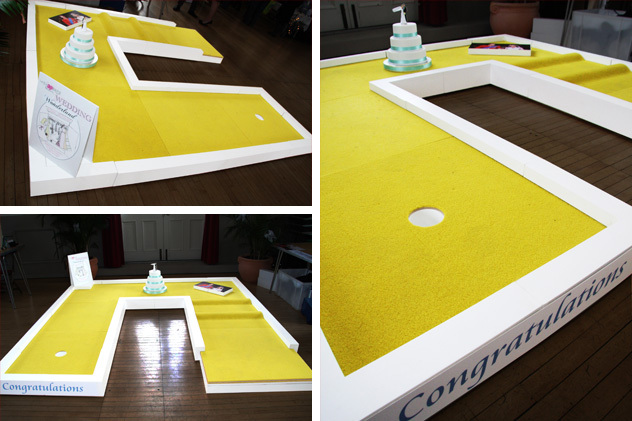 Answer: With a stylish, personalised mini golf course supplied by UrbanCrazy! 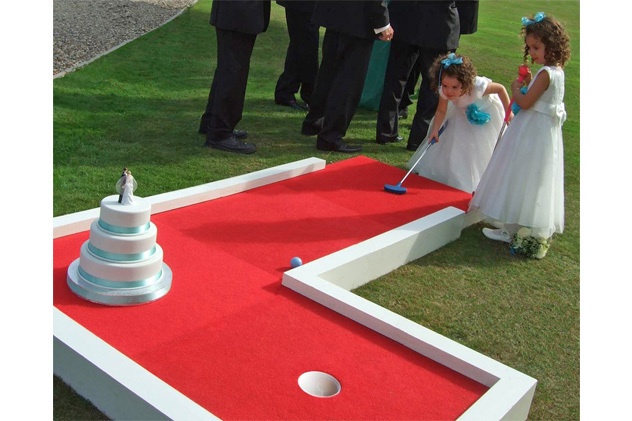 Our eye-catching, mobile minigolf courses are the latest sensation to hit the wedding scene – even we can’t believe how much of an impact they have made. 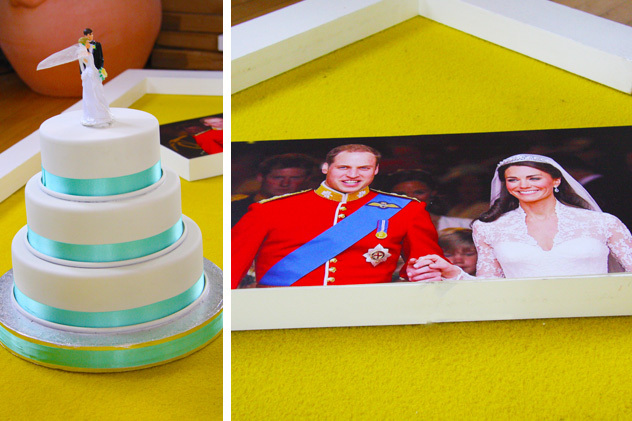 There is surely no better way to inject pizzazz into a wedding reception! 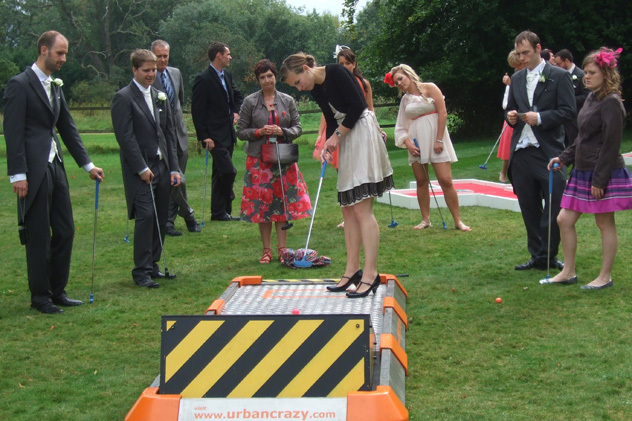 Put simply, everyone enjoys fun activities at weddings and our mini golf and crazy golf courses will get all the guests mingling and having a jolly old time. 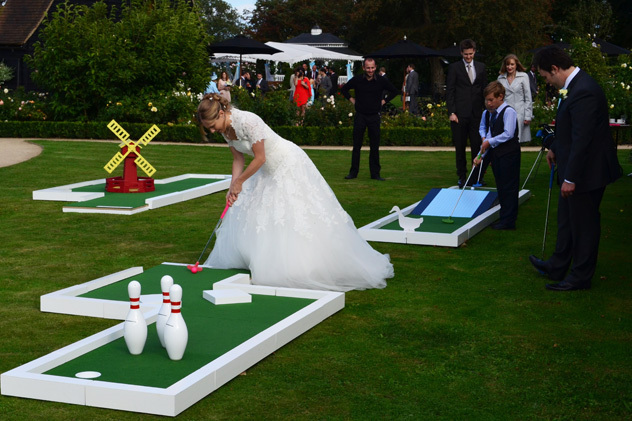 To demonstrate our versatile wedding packages, we ‘pimped up’ one of our courses and took it along to the recent “Wedding Wonderland” fayre in St Albans. 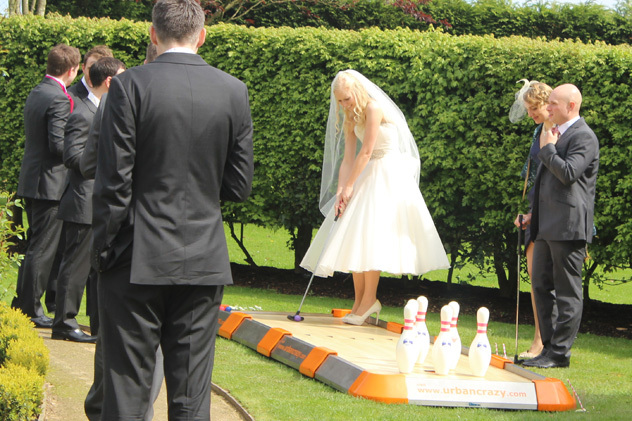 The feature took centre stage and went down famously with the brides and grooms to be, as well as the other exhibitors, including the delightful Jeanette and Kim from Cocoon Photography. 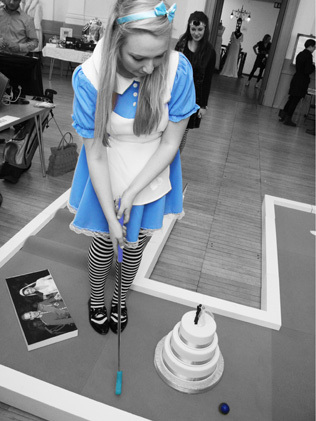 Photos of the Wedding Wonderland course, as well as pictures from recent weddings at which we have entertained, can be viewed by clicking on the main image (top right). 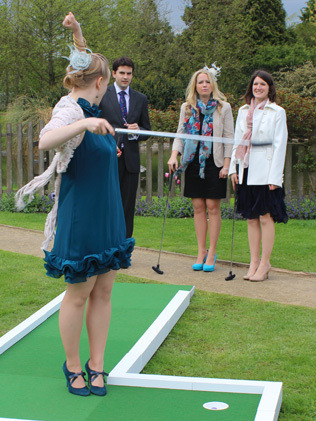 And to learn more about our intriguing minigolf courses and how they can bring weddings and other special events to life please contact us. 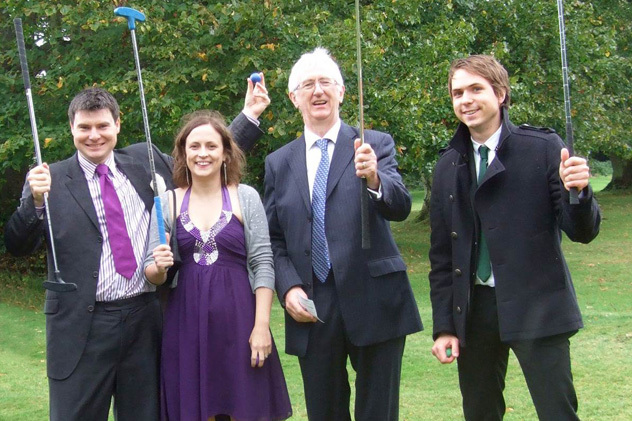 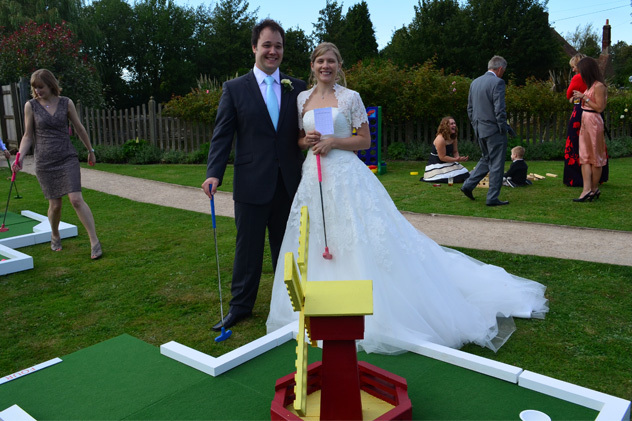 Weddings and minigolf – they really do make the perfect couple!